rEVOLutionary Talk for Revolutionary Times. 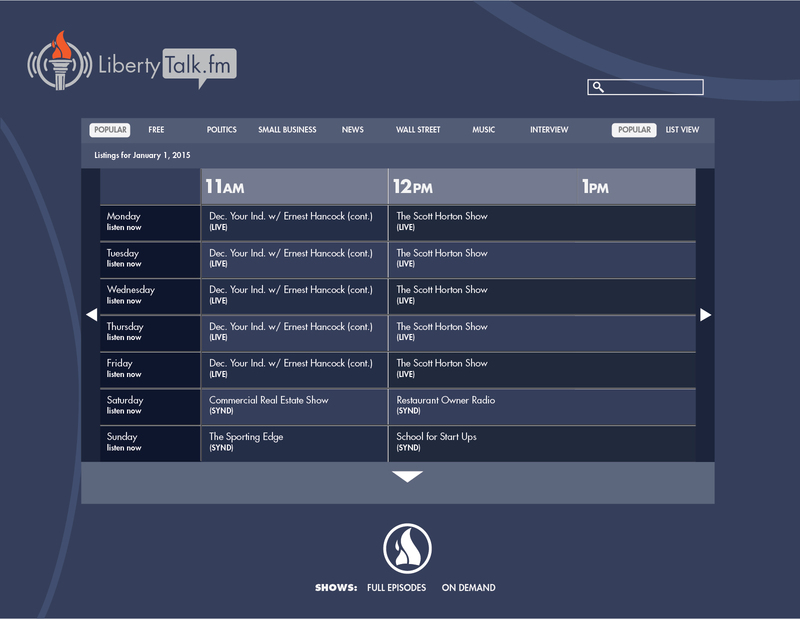 The radio broadcast schedule for Liberty Talk FM strives to bring you the best in freedom oriented political and entertainment internet talk radio and features many well-respected voices such at Dr. Tom Woods, Ernest Hancock, Scott Horton and more. Simply click the tab of the weekday or weekend to access the current line-up. In addition, if there is a voice in the liberty movement or if you yourself host a show and you would like to have it added to the Liberty Talk FM broadcast stream, please do not hesitate to contact the site and send us your suggestion.